This week I got a small portable translator called Smart Translator, which allows real time translation from one language to another and back. I think it will be very convenient and useful device when traveling to places I do not know the local languages. Devices for translating into other languages ​​are quite new and it will be a really useful tool when traveling, since this particular device translates in two languages at the touch of a button! So, here are my comments about Smart Translator. How does the Smart Translator work? Once I unpacked my translator, the first thing I needed to do was to download the device App on my cell phone. To do so, I just scanned the QR code on the bottom of the package. 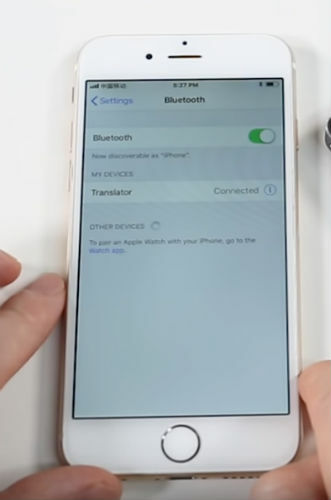 Next step was to pair my cell phone with the translator using the bluetooth connection. Once they were connected, I opened the translation App, and selected the language I would like to have translated from and the other language I wanted to translate to. I selected English and Spanish, since my wife is a Spanish speaker and she helped me test the Smart Translator. My wife listened the Spanish translation and before she started to answer in Spanish, I pressed the blue button (B) and kept it pressed while she was talking. When she finished, I released that button and the device spoke what she said translated in perfect English. That dynamic happened few times: I would say something while keeping the red button pressed, released, my wife would listen; I would press the blue button while she was speaking, released and I would understand what she was saying in English! Amazing! 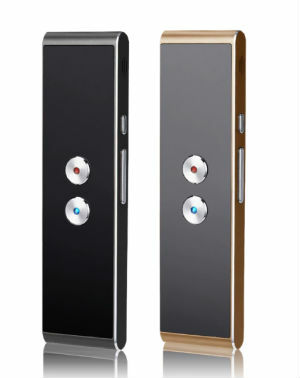 Even though it is necessary to be connected the phone for the Smart Translator to work, I did not have to keep the phone on hand. I kept it most of the time on my pocket and the device still worked very well. That is important since, for safety reasons, I will not like to walk around on foreign countries with my phone visible on my hand. Now if the translator is visible, it will be just fine. I have also tested it with a friend that speaks Russian, and the translator worked great with that language as well. So far, I really like my new translator. Lots of languages to choose for: 40 languages ​​available. No more getting in trouble when traveling abroad or dealing with foreigners. Easy to Use: Select 2 languages ​​(” A ” and ” B ”) at once. Just press the “A” button and start talking, then release the button so it will automatically translate your speech into “B” language. On the other side, press the “B” button, it will translate the speech into “A” language. Text translation: You can type on your phone the text you want to translate to another language. 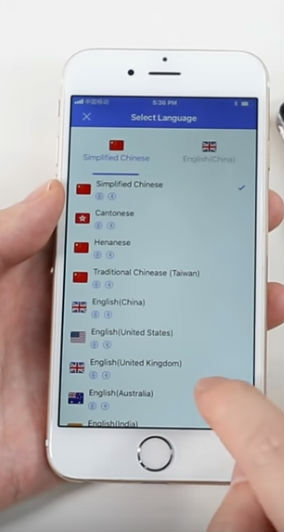 Photo Translation: Select the language and take a photo of the text you want to translate (you can also choose in your phone’s album), then the device will automatically translate it into the corresponding language. Session translation: Enter the connection code of the other device and start a conversation. 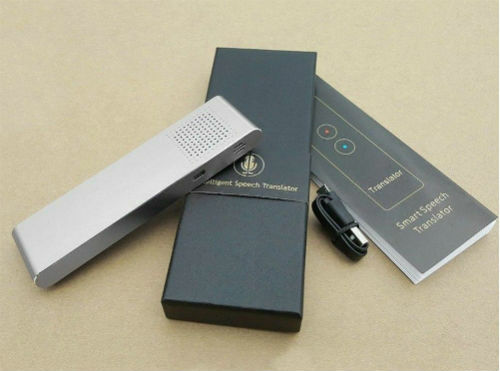 The device will automatically translate your counterparts’ speech into the language you set. In addition, your speech will be translated into your language as well. Lightweight and long lasting battery. In my opinion, Smart Translator is a very good and effective real time translator. I found the price great, and its design makes it very beautiful. 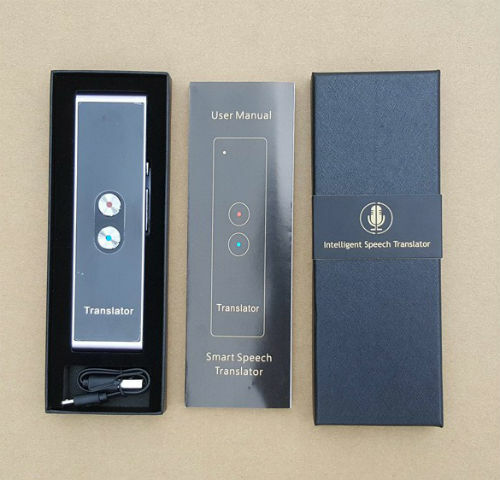 I´ve purchased my Smart Translator on the company’s official website. The purchase was made without hassle, quickly and in a very safe environment. The translator took about 12 days to arrive at my house, and during the delivery process the company provided all information regarding delivery in a timely manner.